A bacteria-based disease usually spread by infected water. It causes fever, lethargy, vomiting, bloody diarrhea and jaundice in your pet. Severe infections can cause organ failure and death. It can be treated by antibiotics but the bacteria can be carried for months afterward and their urine will remain a health hazard to both other animals and humans. Leptospirosis in humans can be fatal. Infection is passed via bodily fluid contamination, and the virus can survive in the environment for prolonged periods. There are two types of the virus, a kennel cough types infection and a liver infection (hepatitis). Symptoms are almost identical to parvovirus. The symptoms can be treated rather than the main disease, but most dogs will survive. Spread by the saliva or discharge from the nose and eyes in infected cats, it can also survive in its environment. Like feline calicivirus, it is a type of ‘cat flu’ as its symptoms include fever, sneezing, conjunctivitis, and discharge from the eyes. 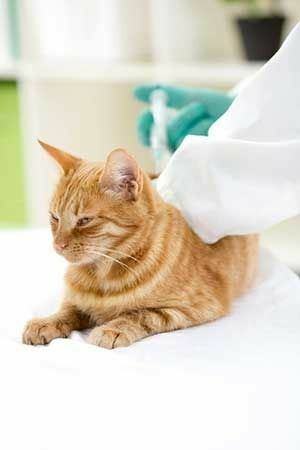 Once a cat has had feline herpes it is infected for life and may suffer recurrent flare-ups that are treated with antibiotics and eye drops. This disease is thought to require very close contact with infected cats to be spread, such as milk from mother to kitten or bite wounds. Much more common in city areas, and among un-neutered and stray cats. Multi-cat households also present a higher risk. The symptoms include poor body condition and coat, anorexia, diarrhea, and jaundice. The virus attacks the bone marrow which results in leukemia and sometimes lymphoma.